Luwak Coffee, Did You Know? Let's explore the details. Did You Know This About Luwak Coffee? Luwak Coffee, Kopi Luwak, or Civet Coffee. They are all talking about the same product, “Cat-Poop-Coffee” Yes, this is a thing. Luwak Coffee originated in Bali, and now Sumatra island is the world’s largest Luwak Coffee producer. Coincidentally, Sumatra Coffee is not the same as the Luwak Coffee that is made there. To clarify, or maybe confuse further, Luwak Coffee, Kopi Luwak, Civet Coffee, and Cat Poop Coffee are the same rare beverage. The coffee has a variety of different names for different reasons, but no matter the name the product remains the same. Before we dive into all the juicy details behind this coffee, let’s translate the names. First of all, Luwak is the name of an Asian Palm Civet. A Civet is a catlike animal that lives in trees and is native to Southeast Asia. Secondly, Coffee is, well, THE most important lifeline to daily function! Or simply a beverage made from beans or seeds of a plant. Finally, Kopi is the Indonesian term for coffee. To point out the obvious, this means Luwak Coffee = Cat Coffee and Kopi Luwak = Coffee Cat. Notice both names leave any litter box references out of the description. No worries we will get to that segment in a moment. The process of brewing Kopi Luwak dates back to the early 1800’s and has remained relatively unchanged. 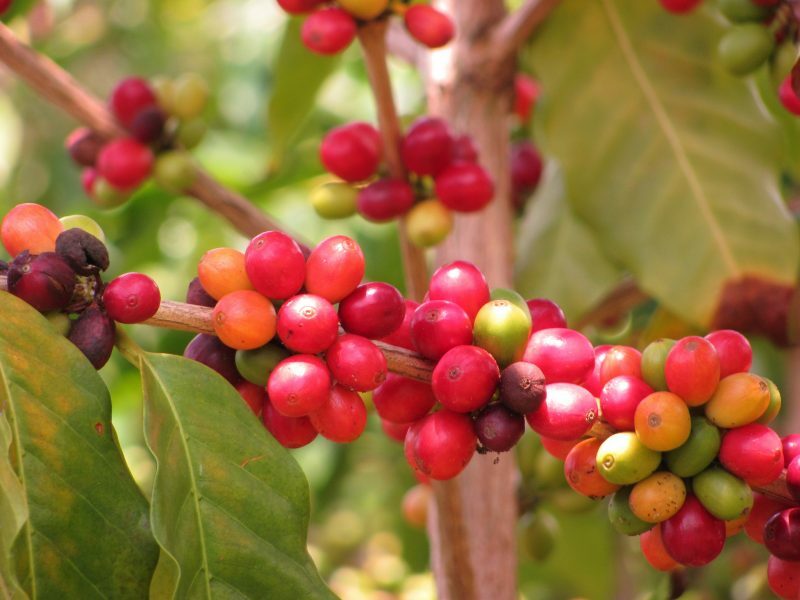 In early times plantations hired locals to harvest coffee berries and prohibited them from using any for themselves. It’s human nature to want what we can not have, so the locals found a way to make their own coffee. As a result, Luwak coffee was born. Of course, there was some creativity involved here. A few of the workers discovered there were coffee berry seeds in a pile of Civet waste on the plantation. 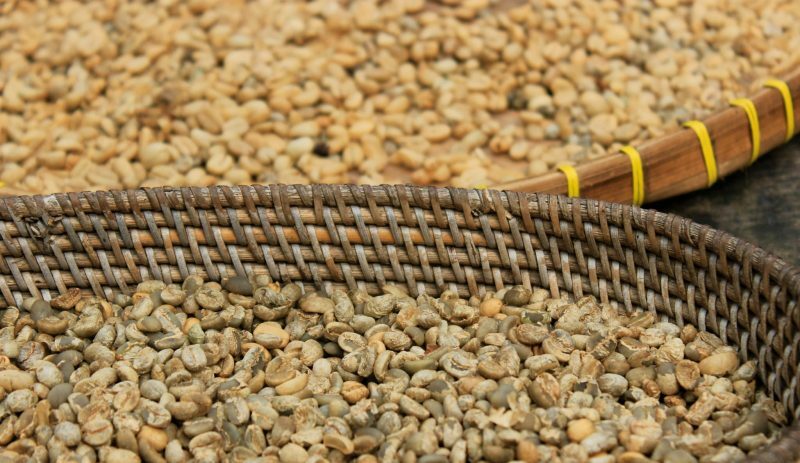 Most importantly here you need to understand that the seed is what makes the coffee. The workers picked the berries then removed the seeds to prepare them for roasting and grinding. Here, in the pile of poo were the bare seeds. They decided to wash them, roast them, grind them, and enjoy a cup of unique coffee. Little did they know, the digestive process of the Civet had fermented the seeds. Resulting in a completely new flavor of the coffee that they produced. 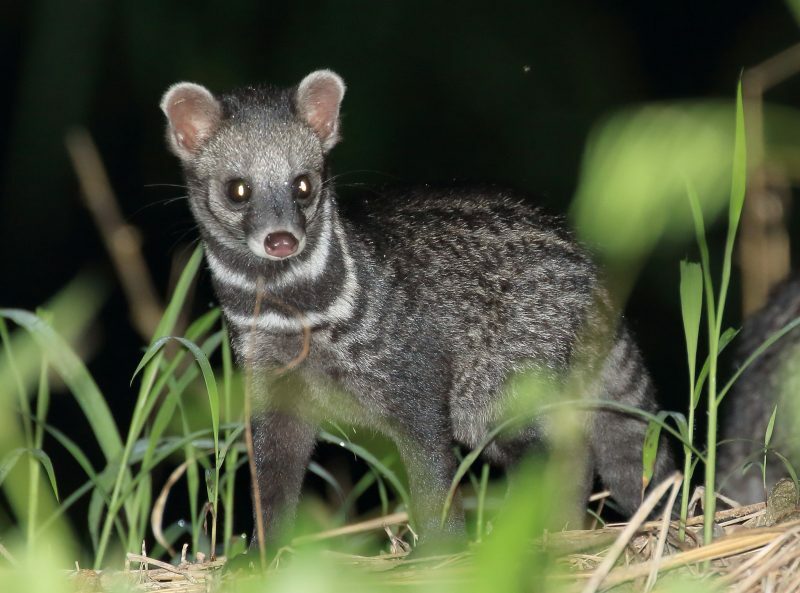 How Much is Civet Coffee, That Depends, How Much Will You Pay? Given the rare process involved in producing the coffee, it immediately became a delicacy and the most expensive coffee in the world. This title still stands true almost 2 centuries later. Of course, the rarity boosts the demand and drives the cost. But, when it comes down to it all things are only worth as much as people are willing to pay. It just so happens, people are willing to pay $35-$100 US for 1 cup of Civet Coffee at a coffee shop. As much as $600 US per pound online. Due to this willingness to pay top dollar, there are now imitators out there with fake Kopi Luwak. 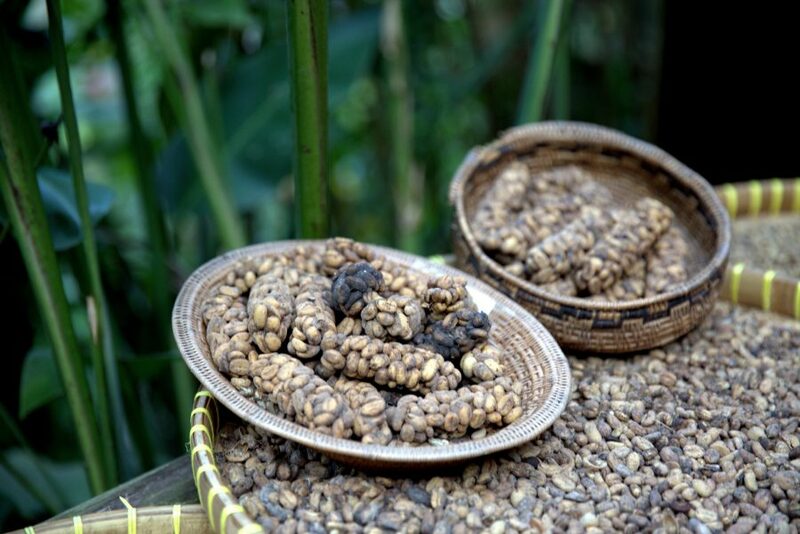 Actual Luwak coffee production is only between 500 and 1000 pounds, extremely low amount compared to demand. These scammers package run of the mill coffee and label it as Luwak and price it as Luwak. So, be warned when purchasing to make sure your product is authentic. Additionally, even food scientists have been unable to duplicate the flavor and aroma of true Luwak Coffee. That being said, it is easy to distinguish whether the product you purchase is real authentic Luwak, but only after tasting it. Now those are Words you probably never thought you would hear. First, let’s identify imposters from a shopping standpoint. This can be tricky due to companies like the Bali coffee company named “LUWAK”, their product is not Luwak coffee proper but rather just named after it. In addition, there are more of these similarly named products out there and it can be hard to tell them apart. While you are looking for Authentic Kopi Luwak keep in mind that it is extremely rare making it impossible to sell wholesale. Cheap is definitely not an option for pure Kopi. Not only does the process depend on the digestion and retrieval of seeds, but also on wild, not farm raised, animals. In other words, the Civet’s do not digest things properly when in captivity. Their body chemistry changes when not out in the wild with plenty of territories to roam. This coupled with the fact that coffee berry selection is also a key factor result in limited options for true Civet Coffee production. Certainly, if the package says “Wild” instead of “Farmed” you are on the right track. One more common thing to come across when Kopi shopping is the “blended Kopi Luwak”. Also not authentic, usually 5-20% Civet digested seeds. The blended Kopi has none of the true flavors or aromas as the real thing but has the same fancy price tag. If you manage to get your hands on some true Kopi beans you will realize they are unique. They are a green coffee bean and have an earthy scent. Unlike regular coffee beans, the Kopi beans hold a consistent and near perfect shape. Finding a cracked or broken Kopi bean is almost unheard of. Also, the Kopi beans that have been properly fermented by the Civet do not have any black spots on them. As for the flavor, opinions and reports vary greatly on this subject. It is a fact that Civet coffee has its own taste but it is undecided whether that taste is good or bad. Some have stated that it is less acidic, full-bodied, and richly flavored. Meanwhile, others conclude that it is plain, thin, and just bad for the taste buds. Sounds like you may have to form your own opinion in that area. Of course, it is completely possible that Luwak Coffee is simply an overpriced novelty rather than a sought-after gourmet coffee. Again, that is something for you to decide. 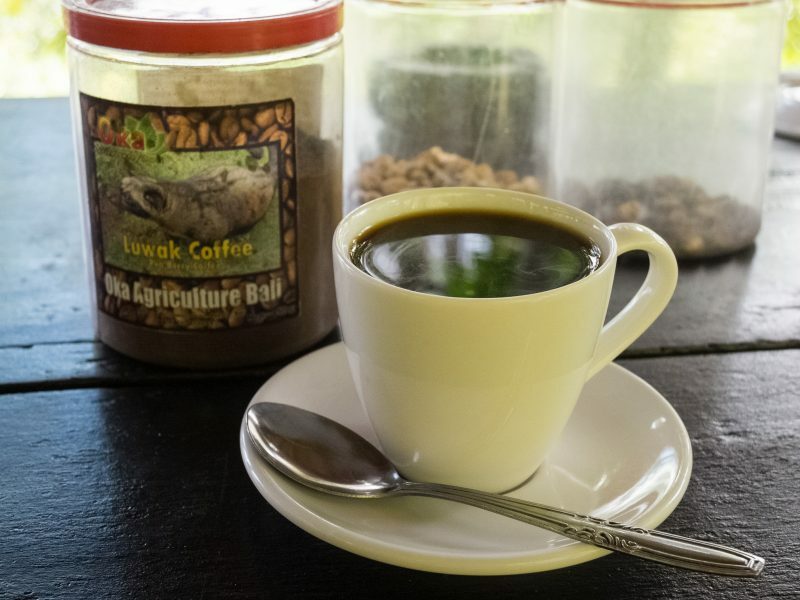 Where Does One Find Authentic Luwak Coffee? The most obvious answer here would be Sumatra Indonesia. Not going there anytime soon? How about Bali? After all the coffee originated there. 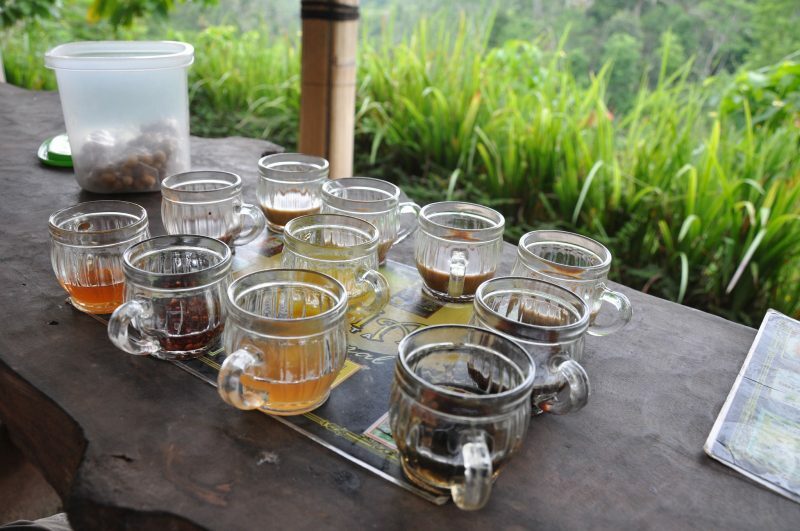 As a matter of fact, by visiting Bali you not only get to see the process of making Luwak Coffee but you can sample it too. All while sitting on a balcony overlooking the lush green rice terraces. Touring the plantation is free of charge and most Bali drivers will suggest it as a stop on your trip. A fun feature at the plantation is the famous canopy swing. 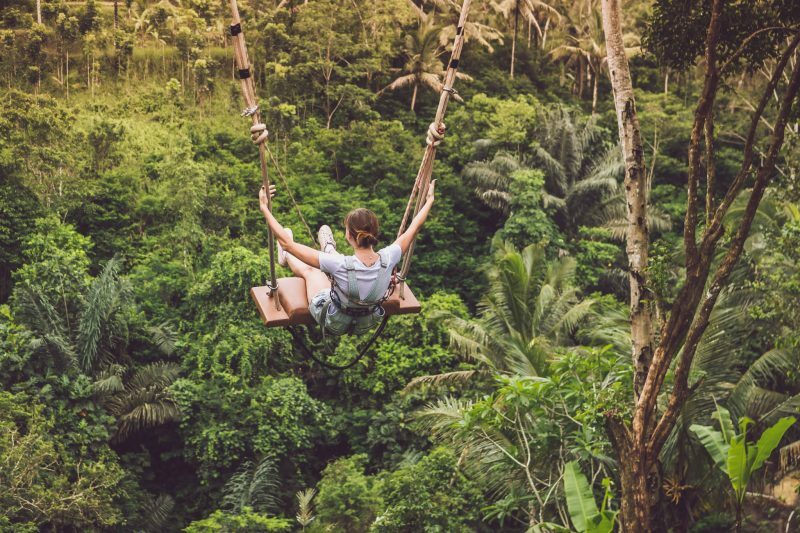 This giant swing takes you out over the tropical treetops and into a whole new adventure! 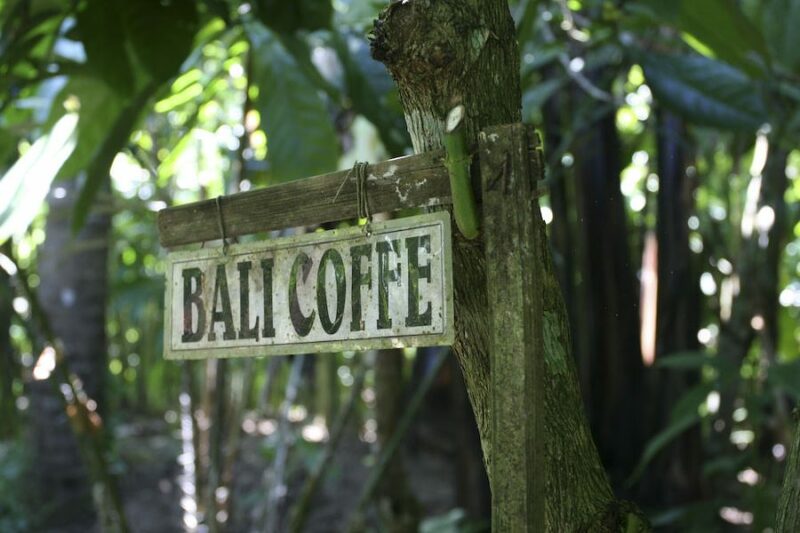 The Luwak Coffee plantation doesn’t just stop at coffee. While sampling you will also be offered several types of teas to try. Are you ready to try a cup? The plantation is open year round and available for daily tours. Truly a cultural Bali experience to add to your itinerary or tour package.